Some people only like to burn candles throughout the cold season. But that's not me, I like to have a good scented candle in my room everyday no matter the season. The only thing that varies with seasons are the scents. In the winter time I like strong, sweet scents like vanilla, cinnamon or chocolate. But when the weather starts to warm up, I lean over the light floral scents. 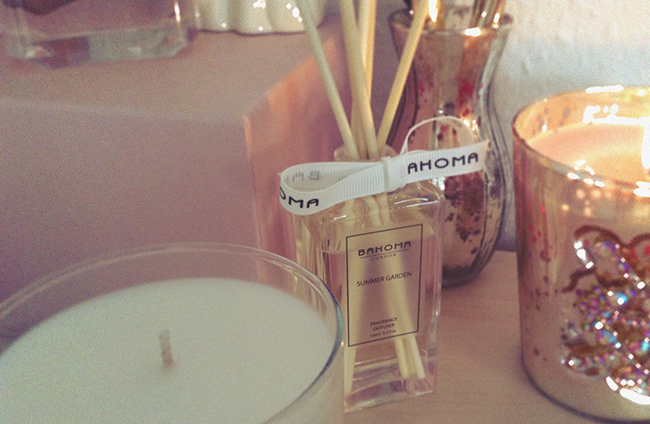 Last week I got these candles and a scent diffuser from Bahoma and I can tell you they smell just like spring! The scents are actually very different from what I have ever tried before. Such unique and strong floral notes - something like a real perfume could smell like - fills the room with the magical garden scents. 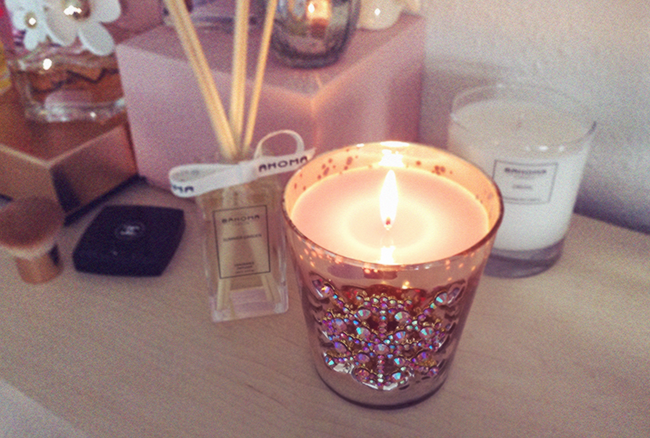 And look at that jeweled candle holder, isn't it the prettiest? Such a glamorous room decor detail and would make a really great gift for any occasion! Beautiful!! Love the candle holder, too! 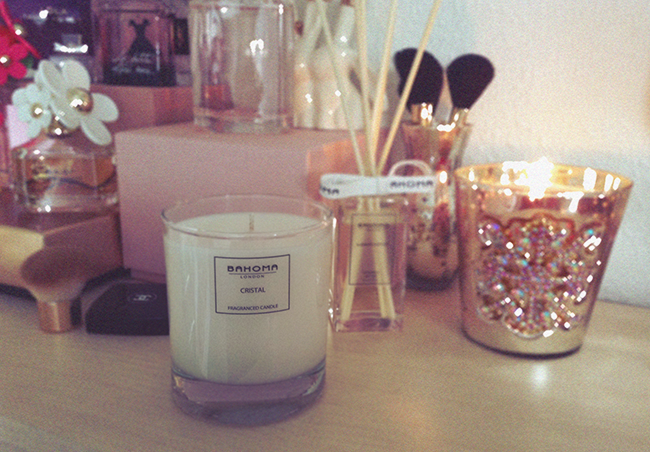 I love candles, especially with good smell <3 Love your pictures! I don't burn to many candles. These candles looks so lovely ! lovely candles! the bling bling one looks very girly! Candles are always a good thing. I love the scent and the atmosphere they create! I love candles and those look amazing and I'm assuming and believing they smell as well as you say they do.. would attempt to give them a try if they ship to my country! This sounds absolutely lovely, must smell divine. May your week be filled with calm & creativity. 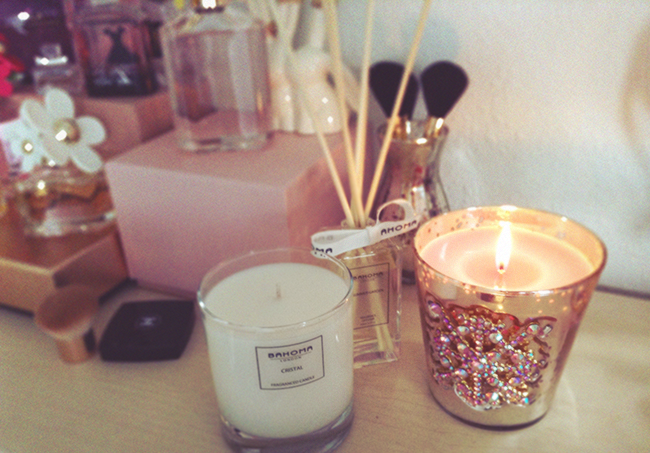 I love candles and these scents look magnificent! I love to have the bahoma candles and diffuser in the ocean scent in my holiday home. Yes candle holder is definitely pretty! Great way to relax yourself! I love it! Las fotos son geniales. He de confesar que me encanta la cabecera de tu blog!! Y por supuesto también me encanta el blog. ¿Te apetece que nos hiciésemos seguidoras? Sí es así házmelo saber en mi blog.